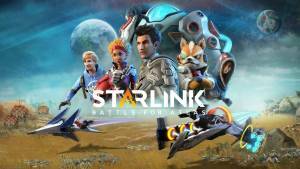 Starlink: Battle for Atlas a third-person perspective action-adventure game that is set in the Atlas star system. The story centres around the invasion of The Forgotten Legion, who are trying to round up ancient advanced technology to bolster their imperial efforts. Players join the crew of the Equinox as you try to put together a team to stand up to them, recruiting aliens from the planets you visit to join the cause. The game also features optional toys-to-life elements. The story centres around the invasion of The Forgotten Legion, who are trying to round up ancient advanced technology to bolster their imperial efforts. Players join the crew of the Equinox as you try to put together a team to stand up to them, recruiting aliens from the planets you visit to join the cause. No discussions open for Starlink: Battle for Atlas at the moment.